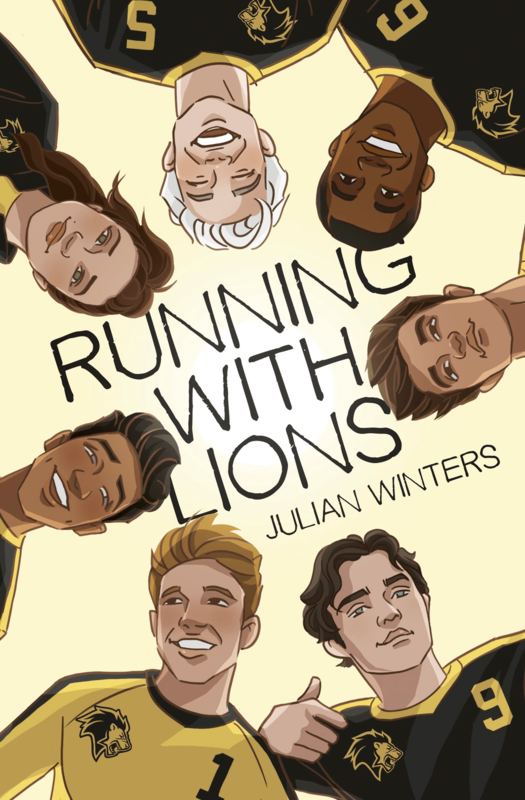 I don’t often venture into Young Adult territory but in the case of Running with Lions, I’m so so glad I did. I won’t lie, the use of present tense took some getting used to and there were definitely times I couldn’t keep up with the nonstop banter and good-natured trash-talk between Bastian and his teammates. But despite all the chaos and action, the book had a quiet, lazy vibe to it that marked Bastian’s last summer at his beloved soccer camp. “Vamos, hombre ! Is that the best you’ve got?” Coach Rivera yells. “Want another thirty minutes of cardio added to tomorrow’s practice?” His dark eyes narrow at Smith, who is struggling to keep up. “Smith! Where’s your form ?” he asks after a sip of his cinnamon coffee. “At your wife’s house,” Smith mutters. “I heard that! My husband would appreciate it if you picked your crap up one of these days.” Grins are rare for Rivera, but his lips twitch when Smith trips over his own feet. The second thing that intrigued me – okay plagued me – was Bastian and Emir’s back story. There was a lot of hostility between them and I just had to know what had caused the rift between these former best friends. When the story finally came out, it was not at all what I expected but it still managed to choke me up. Damn you, teenage angst. If I had thought the first half of the book was a bit slow, the second half practically flew by in a lovely haze. In the midst of endless trainings sessions and summertime shenanigans (complete with awesome soundtrack, mind you), Bastian and Emir came to a truce that was as sweet as it was rocky. The boys, including Bastian’s best friends Willie and Mason – and girl, Gray! – ceased to be teenage caricatures for me and their personalities gradually came into focus with every fistpump on the soccer pitch and rejection at the dining hall. And then there was the footy. Not gonna lie, one of the earliest football reference about catching a Real Madrid match next summer had me worried because, well, there is no European club play during that time of year. Apart from a few awkward club references that was probably the for benefit of non-soccer fans, I loved the rest of the footy talk as much as I hated the random teams that came up 😉 I thought the author did a pretty good job portraying the on-pitch action. My hands down favorite moment was one particularly brilliant scene in which the coach’s daughter wiped the floor during a one-on-one challenge that was quite frankly a long time coming. Running with Lions ended on a dramatic note high on teenage hopes and dreams and also potent with unity and inclusivity. If I had this book in paperback, I would have hugged it upon finishing it. I may or may not have hugged my reader instead.